A high-density peptide array was generated using maskless photolithographic synthesis adapted to solid phase peptide synthesis with the C-terminal anchored to the surface , , . Except for a change in the synthesis substrate (described below) the synthesis was performed as detailed by Schafer-Nielsen and coworkers . Briefly, the image patterns were generated using a.95″ 1920×1080 digital mirror device (DMD, Digital Light Innovations, Austin, Texas) illuminated with collimated 365 nm UV-light. The image patterns generated by 10×10 µm mirrors on the DMD were projected onto the synthesis substrate using 1∶1 UV-imaging optics. The synthesis substrate was a HiSens E microscope slide (Schott AG, Germany) coated by overnight incubation with a 2% w/v linear copolymer of N,N′-dimethylacrylamide and aminoethyl methacrylate (both from Sigma-Aldrich) mixed in a 20∶1 w/w ratio before polymerization for 2 hours at room temperature in freshly degassed 0.1 M sodium borate buffer, pH 8 containing 0.025% v/v TEMED and 0.1% w/v ammonium persulfate. Coupling of amino acids was performed as in classical Fluorenylmethyloxycarbonyl chloride (Fmoc) peptide synthesis using standard Fmoc amino acids (0.1 M amino acid, 0.1 M O-Benzotriazole-N,N,N′,N′-tetramethyl-uronium-hexafluoro-phosphate (HBTU), 0.2 M DIEA in N-methylpyrrolidone (NMP) premixed for 5 minutes before loading into the flow cell). Couplings were performed for 5 minutes after loading of the activated amino acid. The principal deviation from the classical strategy was that the photolabile (2-(2-nitrophenyl)propyl oxycarbonyl (NPPOC) was coupled to amino groups on the surface of the substrate before onset of synthesis, and when all n-terminal amino groups in a given layer had been coupled and the Fmoc-groups had been removed with 20% v/v piperidine in NMP for 20 minutes. Couplings of NPPOC were made by incubation for 30 min with a 1% v/v solution of NPPOC-chloroformate (Sigma), 0.1 M DIEA in DCM/NMP 1∶4 v/v. Before coupling with a new amino acid, relevant areas of the synthesis substrate were irradiated in 0.1 M DIEA in NMP for 10 minutes with 365 nm UV-light at an energy density of 20 mW/cm2. All synthesis steps were performed at room temperature by a proprietary liquid handling robot connected to a locally constructed DMD-projection device equipped with a flow cell holding the synthesis substrates. After synthesis, side chain protecting groups of peptides in the array were cleaved by incubation in Trifluoroacetic acid (TFA): 1,2-ethanedithiol (EDT): Triisopropylsilane (TIPS):H2O, 92∶2:1∶5 v/v/v/v overnight at room temperature before washing in DCM and air drying. By mere inspection of the signals in Figure 2A it cannot be determined if a small peak with a low signal actually represents an epitope. Neither can it be determined if a wide peak actually represents 2 or more adjacent epitopes. Therefore, a more objective analysis is warranted to identify, delineate and characterize each epitope candidate found in this experiment. Single-residue substitution with several amino acids is a very efficient tool in mapping of epitope sequences . Thus, to elucidate the number of epitopes and at the same time identify the residue positions that are important for binding of antibody, a complete single-residue substitution analysis was performed for each of the 595 overlapping 15-mer peptides derived from HSA. A position specific scoring matrix (PSSM) was constructed for each 15-mer peptide (exemplified in Fig. S2). The PSSM contains a column for each amino acid position in the native peptide and a row for each amino acid used for single-residue substitution. Since we used 15-mer peptides and made single-residue substitutions with each of the 20 common amino acids, a PSSM contained 15×20 = 300 fields each displaying the signal obtained with a mono-substituted variant of the original 15-mer peptide. For convenience, the signals in the PSSM are expressed as percentages of the signal obtained with the native sequence. If a given residue position within the peptide is unimportant for binding of the peptide to the antibody, i.e. if the amino acid residues in the native sequence can be freely substituted without affecting binding, then the mean signal obtained at this non-selective position will be 100%. Positions with mean signals deviating significantly from 100% will accordingly be identified as being significant for binding of the antibody to the native peptide. In most cases substitution of the native residue in a significant position will result in attenuation of the signal, and in these cases the mean signal will be less than 100%. In the case that higher signals are obtained when the native residue is substituted with other amino acids – a situation known as a heteroclitic response  – then the mean signal can exceed 100%. These cases will not be further described or discussed here. Many different approaches to epitope mapping have been suggested over the years but they tend to be resource-intensive and have rather low throughput. Synthetic peptides have often been used in mapping of linear epitopes, but even modest peptide-driven epitope discovery programs can be severely strained by the costs and logistics of acquiring and handling large number of peptides. To overcome these disadvantages, we have recently implemented a new high-density peptide microarray technology and used it to perform exhaustive analysis of linear epitopes. To exemplify the power of this technology we have here extended this analysis to a model protein antigen in its entirety. To this end we have identified and fine-mapped multiple linear epitopes from a medium sized protein, HSA, as recognized by a polyclonal rabbit-anti HSA antibody. A single array containing more than 200.000 peptide fields was synthesized using a photolithographic approach and the data recorded on a single array allowed the linear epitopes to be mapped at an unprecedented level of detail greatly exceeding past epitope mapping experiments using synthetic peptides. Every possible 15-mer peptide from HSA was synthesized in several copies and immediately yielded a picture of 10–20 epitope containing regions in this protein. We have recently suggested that a systematic single-residue substitution analysis involving all 20 naturally occurring amino acids followed by statistical ANOVA provides a more sensitive measure of antibody-antigen interaction than a mere signal strength analysis. The large number of peptide fields in the array allowed synthesis of 300 single-substituted variants of each of the 595 different linear 15-mer peptides that can be generated from HSA. We used this combined single-residue substitution and ANOVA to generate an automated and highly efficient analysis of this massive amount of data and to pinpoint residues in the original HSA-sequence that are important for binding of polyclonal anti-HSA antibodies. Furthermore, a measure of the relative contribution of each individual position within a given epitope was obtained by calculating the Rq values. The strength of the signals obtained after binding of antibodies to peptide fields in the arrays depends not only on the concentration and affinity of the antibodies but also on the density, purity, and sterical availability of the displayed peptides. The ANOVA only examines distribution of variance, which is independent on the strength of the signals. Thus, weak – but consistent – signals can still be revealed as very specific interactions. This is vividly illustrated by the e.g. the epitope found around 15-mer # 93–100 where the signals are relatively low, around 50 AU (Table S1). However, the HSD analysis clearly identifies amino positions in this region that are significant (p<0.01) for binding of the antibody. The analyses pinpointed the residue positions in the native sequences that are important for binding of the antibodies and it also indicated to which extent specific amino acids can substitute each other in these positions. Inspection of a large number of PSSM’s have revealed a remarkable specificity of each amino acid in the sense that even conservative substitutions in general leads to considerable attenuation of the signals. In some regions of HSA, the residues identified as significant for epitope binding are clustered over longer contiguous sequence stretches, making distinction between different epitopes somewhat ambiguous. By inspection of the way the regions with important amino acids slide through the window of deduced “epitopes” (see rightmost column of Fig. 3a and b) one can get a fairly good idea about where one epitope stops and a new one begins. A statistical measure of the importance of each amino acid was judged by calculating the Rq value. However, a definitive distinction between epitopes in closely positioned clusters of important amino acids cannot be made when using polyclonal antibodies, since the putatively long epitope regions may correspond to paratopes of one or several different antibody clones. Our previous experience with monoclonal antibodies and shorter peptides used for polyclonal antibody binding is that the linear epitopes identified are usually in the range from 4–10 amino acids (data not shown). Based on this, we would suggest that the long clusters of significant residues are caused by two or more epitopes leading to a total of 24 epitope candidates identified with the polyclonal rabbit anti-HSA antibody used. 1.Saul FA, Alzari PM (1996) Crystallographic studies of antigen-antibody interactions. Methods Mol Biol 66: 11–23. 2.Liu HL, Hsu JP (2005) Recent developments in structural proteomics for protein structure determination. Proteomics 5: 2056–2068. 3.Goetze AM, Richards JH (1977) Magnetic resonance studies of the binding site interactions between phosphorylcholine and specific mouse myeloma immunoglobulin. Biochemistry 16: 228–232. 4.Rosen O, Anglister J (2009) Epitope mapping of antibody-antigen complexes by nuclear magnetic resonance spectroscopy. Methods Mol Biol 524: 37–57. 5.Dhungana S, Williams JG, Fessler MB, Tomer KB (2009) Epitope mapping by proteolysis of antigen-antibody complexes. Methods Mol Biol 524: 87–101. 6.Cretich M, Damin F, Pirri G, Chiari M (2006) Protein and peptide arrays: recent trends and new directions. Biomol Eng 23: 77–88. 7.Chandra H, Srivastava S (2010) Cell-free synthesis-based protein microarrays and their applications. Proteomics 10: 717–730. 8.Benjamin DC, Perdue SS (1996) Site-Directed Mutagenesis in Epitope Mapping. Methods 9: 508–515. 9.Pande J, Szewczyk MM, Grover AK (2010) Phage display: concept, innovations, applications and future. Biotechnol Adv 28: 849–858. 10.Timmerman P, Puijk WC, Meloen RH (2007) Functional reconstruction and synthetic mimicry of a conformational epitope using CLIPS technology. J Mol Recognit 20: 283–299. 11.Van Regenmortel MH (2009) What is a B-cell epitope? Methods Mol Biol 524: 3–20. 12.Geysen HM, Meloen RH, Barteling SJ (1984) Use of peptide synthesis to probe viral antigens for epitopes to a resolution of a single amino acid. Proc Natl Acad Sci U S A 81: 3998–4002. 13.Houghten RA (1985) General method for the rapid solid-phase synthesis of large numbers of peptides: specificity of antigen-antibody interaction at the level of individual amino acids. Proceedings of the National Academy of Sciences 82: 5131–5135. 14.Furka A, Sebestyen F, Asgedom M, Dibo G (1991) General method for rapid synthesis of multicomponent peptide mixtures. 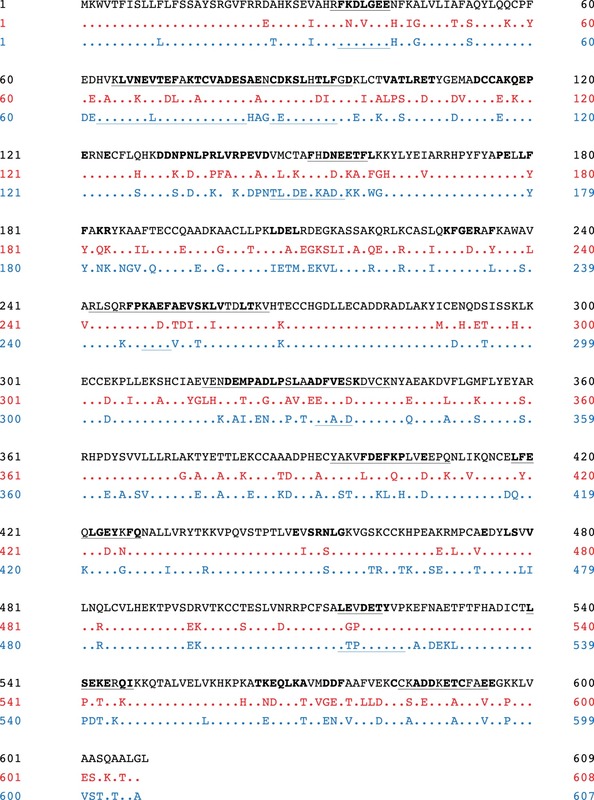 Int J Pept Protein Res 37: 487–493. 15.Lam KS, Salmon SE, Hersh EM, Hruby VJ, Kazmierski WM, et al. (1991) A new type of synthetic peptide library for identifying ligand-binding activity. Nature 354: 82–84. 16.Fodor SP, Read JL, Pirrung MC, Stryer L, Lu AT, et al. (1991) Light-directed, spatially addressable parallel chemical synthesis. Science 251: 767–773. 17.Frank R (1992) Spot-synthesis: an easy technique for the positionally addressable, parallel chemical synthesis on a membrane support. Tetrahedron 48: 9217–9232. 18.Kramer A, Schneider-Mergener J (1998) Synthesis and screening of peptide libraries on continuous cellulose membrane supports. Methods Mol Biol 87: 25–39. 19.Breitling F, Felgenhauer T, Nesterov A, Lindenstruth V, Stadler V, et al. (2009) Particle-based synthesis of peptide arrays. Chembiochem 10: 803–808. 20.Singh-Gasson S, Green RD, Yue Y, Nelson C, Blattner F, et al. (1999) Maskless fabrication of light-directed oligonucleotide microarrays using a digital micromirror array. Nat Biotechnol 17: 974–978. 21.Li S, Marthandan N, Bowerman D, Garner HR, Kodadek T (2005) Photolithographic synthesis of cyclic peptide arrays using a differential deprotection strategy. Chem Commun (Camb):581–583. 22.Hasan A, Stengele K-P, Giegrich H, Cornwell P, Isham KR, et al. (1997) Photolabile protecting groups for nucleosides: Synthesis and photodeprotection rates. Tetrahedron 53: 4247–4264. 23.Bhushan KR, DeLisi C, Laursen RA (2003) Synthesis of photolabile 2-(2-nitrophenyl)propyloxycarbonyl protected amino acids. Tetrahedron Letters 44: 8585–8588. 24.Buus S, Rockberg J, Forsstrom B, Nilsson P, Uhlen M, et al. (2012) High-resolution mapping of linear antibody epitopes using ultrahigh-density peptide microarrays. Mol Cell Proteomics 11: 1790–1800. 25.Yxfeldt G, Froman G, Mardh PA, Ward ME (1994) Reactivity of antibodies to heteroclitic peptides based on the Chlamydia trachomatis major outer-membrane protein. Microbiology 140 (Pt 4): 815–821. 26.Timmerman P, Beld J, Puijk WC, Meloen RH (2005) Rapid and quantitative cyclization of multiple peptide loops onto synthetic scaffolds for structural mimicry of protein surfaces. Chembiochem 6: 821–824.